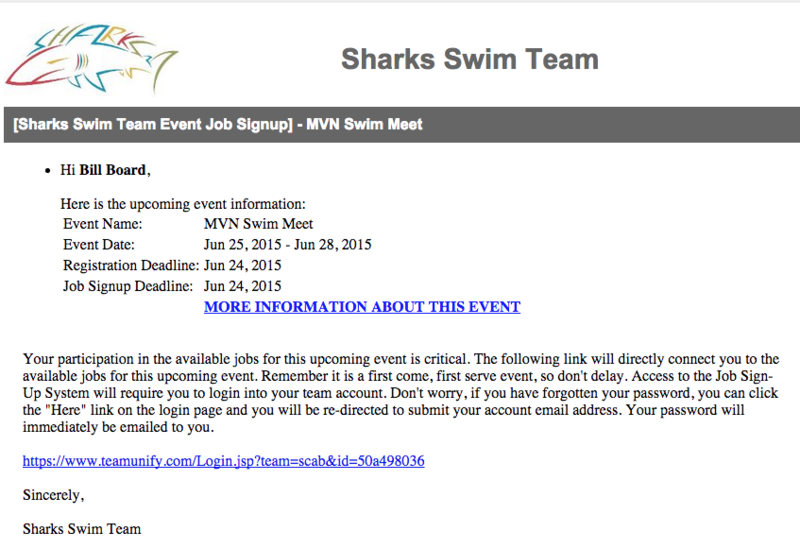 When you need volunteers for an upcoming meet, SwimOffice makes it easy to send a templated email to invite people to sign up for jobs. Click the Job Signup button. Click the Setup Event Jobs tab. 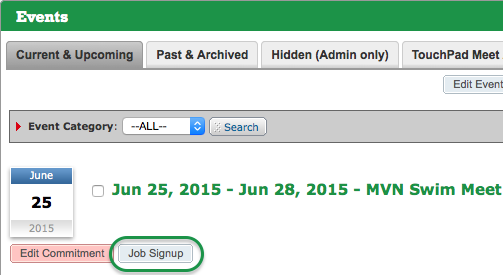 Click the Email Job Signup Invitation button. Click OK to confirm you want to send the invite. You will get a confirmation window that it emailed ALL active accounts with active members a templated email as shown below that will take them directly into the job signup.